Modern and practical, these sturdy stoppers feature a cute, carefully molded metal fish studded with rhinestone on top of a chrome base wrapped with a thin black liner for a snug fit. This favor is sure to impress your guest with its sophistication and elegant design. 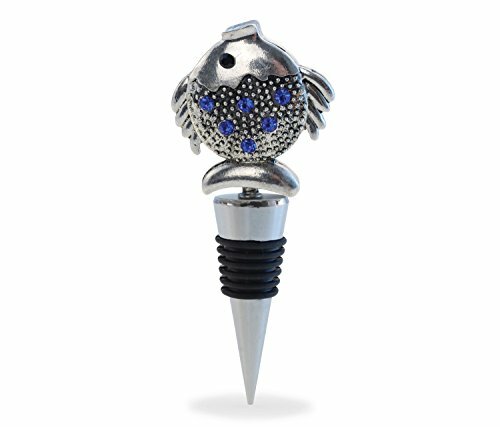 This unique wine stopper is part of our ocean life theme designed to last and will be a great add to your kitchenware collection. This carefully crafted product is brought to you by Puzzled Inc. If you have any questions about this product by Puzzled, contact us by completing and submitting the form below. If you are looking for a specif part number, please include it with your message.